Finding a new health provider can be challenging if you move to a new area or have new dental insurance. 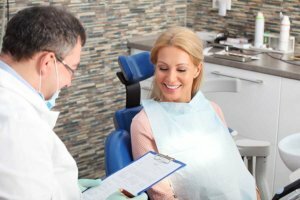 When you need to find the best dentist in Orlando for your needs, there are some specific things to consider. Remember that your dentist is a partner in your oral health. You’ll need to find one who is able to provide an array of services ranging from general dental care to restorative and cosmetic dentistry. In addition, if you have kids, you’ll want a family dentist who can care for everyone in your household. In your search for the best dentist in Orlando, consider their location. You need convenience in appointment scheduling and arrival. You’ll also need a dentist with hours that suit your schedule. Even the best dentist in Orlando can’t do you any good if they don’t accept your insurance or other payment methods. If you’re not using insurance, look for a dentist with a helpful office staff who can help you find financing options. Of course, you need a dentist who accepts your methods of payment, such as credit cards, cash, and insurance. You’ll also need your dentist to communicate about procedures before performing them. Part of this open communication includes having an opportunity to gain cost estimates from the office before the treatment begins. Fillings, crowns and root canal therapy are sometimes expensive. You’ll need options for affording your services to ensure you gain the oral health benefit you need. It’s very important to consider how you communicate with your dentist and whether the dental team relates well to you. You need to feel comfortable in asking questions and receiving services. Are you heard and understood? If you suffer anxiety or fear about going to the dentist, will this dentist be compassionate about that? Your dentist must have the qualifications and licensing to provide the dental services you seek. The practice should also be diligent in infection control. Your dentist should provide emergency care and have information about what you should do if you suffer a dental emergency. Does the dentist explain options for treatment? How are dental emergencies handled? What is the average time spent in the waiting room before a scheduled appointment? Do the dentist’s patients seem comfortable asking questions about their care? How long do patients typically have to wait before gaining an appointment? How do you bill patients? At S. Keith Mahan, DDS patients just like you can enjoy the many benefits of seeing Orlando’s best dentist. One convenient, compassionate office can meet your entire family’s dental needs with Dr. Keith Mahan as your dentist. For your first visit with Dr. Mahan, call 407-706-3873 to schedule a consultation appointment. You may also learn more about our dental office by reviewing new patient information. Become part of a new dental care family, and experience dentistry the way it’s supposed to be―comfortable, gentle, and completely focused on your goals for your smile. Call today to schedule your initial consultation!